The reciprocal closeness in the relationship between journalism and power is a prominent feature of British political history. In times of war or national crisis, media organisations are expected more often than not to behave as if they were an arm of government – but, for the newspapers of Rupert Murdoch, this close relationship seems to have become business as usual, whoever is living in Number 10 . And the willingness of various governments to yield to Rupert Murdoch’s news empire has been exhaustively documented. It is increasingly clear that the influence of News UK (the rebranded News International whose titles include the Sun, the Sun on Sunday, The Times and the Sunday Times) has not diminished in the aftermath of the Leveson Inquiry or the phone-hacking scandals. Far from it. When Theresa May visited New York in late September (mere months after becoming prime minister) she found time in her hectic 36-hour schedule to meet with Murdoch. The final choice for who will be our next prime minister must be between Theresa May and Michael Gove. So what happened to Michael Gove after his personal leadership debacle? He’s (back) working for the Times. Let’s not forget that at the Leveson Inquiry, Gove described his boss as “one of the most significant figures of the last 50 years” a “force of nature, a phenomenon and a great man”. 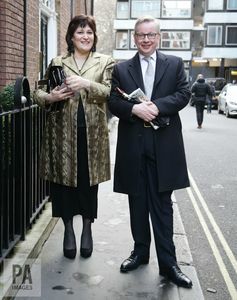 Connections: Michael Gove and Sarah Vine. I sat through the entire proceedings of Leveson in which one of the main points was the closeness of the relationship between senior members of the Conservative party and Mr Murdoch. And Mr Gove has had a number of meetings with him when he was in various of his departments. So I think there is a question there about when you are in office … imagining a future when you might need the generosity of say Mr Murdoch to sustain your career and whether that would influence the decisions you’ve made. 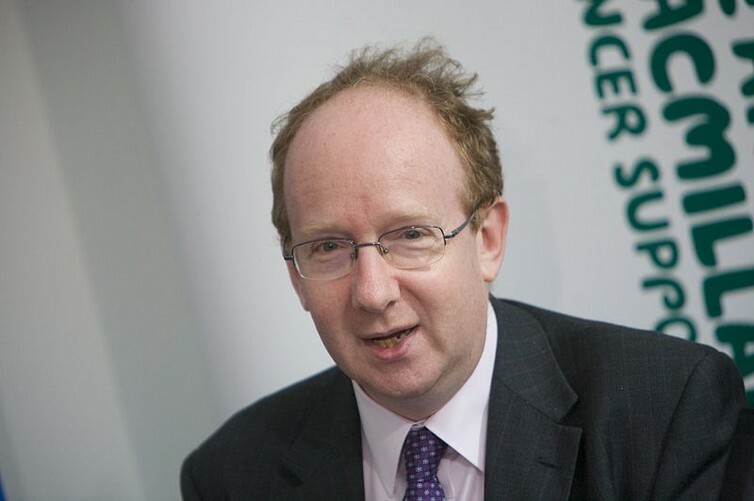 That’s as maybe – and Hislop is no doubt also aware of Daniel Finkelstein, now Lord Finkelstein OBE. In 2013, when the Times columnist was elevated to the Lords, Peter Oborne wrote about the collapse of the boundaries between politics and media and cited Finkelstein – a man he also described as “a decent, highly intelligent man, who lacks an ounce of malice” – as an example. As any newspaperman will recognise, Daniel Finkelstein has never in truth been a journalist at all. At the Times he was an ebullient and cheerful manifestation of what all of us can now recognise as a disastrous collaboration between Britain’s most powerful media empire and a morally bankrupt political class. In terms of political journalism, it is very easy to be cynical and view politicians and journalists as being part of one exclusive Westminster club which makes decisions based solely upon the needs of its membership. It may be the case that the hierarchy of the media – the cultural managers that Chomsky and Herman refer to: the editors, the leading columnists and so on – share a class interest with the political establishment. So there exists within the news media an institutional bias that guarantees the mobilisation of certain campaigns on the behalf of the elite few. And this never changes. In all the column inches around the Impress verdict by the The Press Recognition Panel (PRP) this week, one thing struck me as significant. In The Sun, the culture secretary, Karen Bradley, was quoted as saying the government was preparing for a “major U-turn in its war against press freedom”. Her special adviser? Craig Woodhouse – former chief political correspondent of the Sun.